11 Colorful, Fun, Cute and Girly Rain Boots for Women! My Top Favorite Fun, Colorful and Girly Rain Boots for Women! Time to grab your favorite pair of cute, fun and colorful girly rain boots! Why wear boring black or gray rain boots when you can wear happy, fun and colorful ones? Aren’t they fun and cute? Even if the day is rainy and gloomy you can add fun and colors to it! I found lots of cute and colorful girly rain boots for women! I decided to create this page to show you my favorite ones! Who is ready to have some fun in the rain today? Fun and Colorful Women’s Rain Boots! What a cool grass and daisy flowers design! 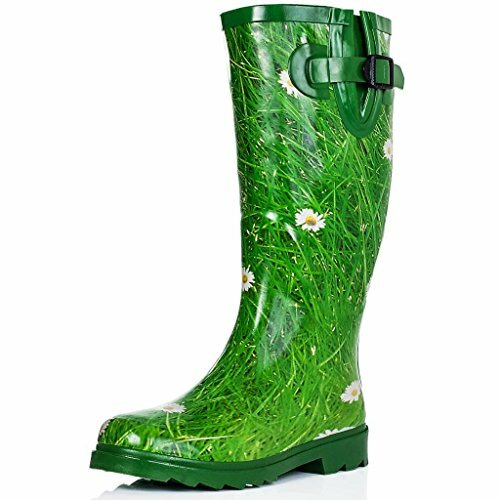 How awesome and very unique is this pair of grass and daisy flowers rain boots for women? They are just perfect to add a touch of green and colors to a gray rainy day! They are also very comfortable to wear! Since they are made from rubber, so you can splash in the water all you want! 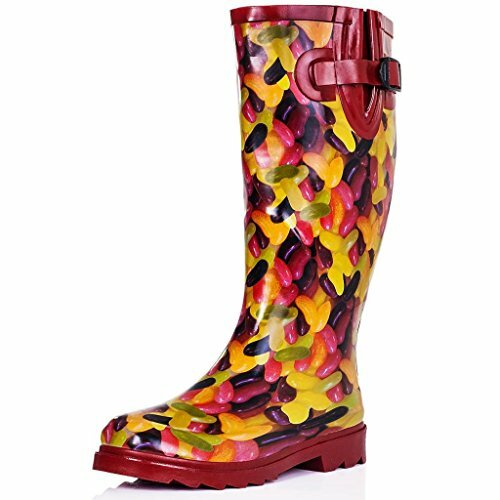 Fun Jelly Bean Design Rain Boots for Women! My Top Favorite Most Colorful Rain Boots! Do you love jelly beans? Then wear them on your feet too! 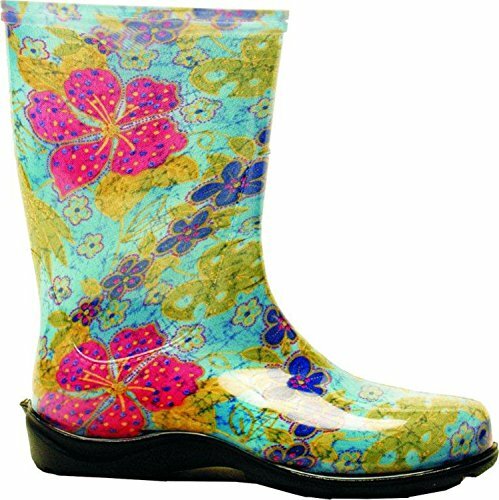 A fun and colorful pair of jelly bean design colorful women’s rain boots for sale! This is what I’m talking about fellow girly ladies! This is my favorite pair of cute and girly rain boots for women! How cute and fun are these? They will brighten up everyone’s days! 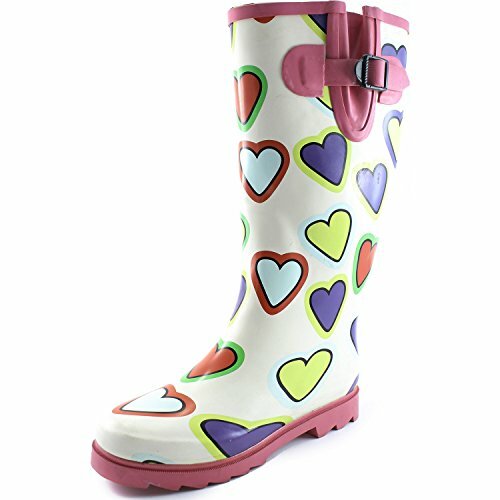 Everyone will smile when they see you wearing this fun pair of colorful hearts rain boots! 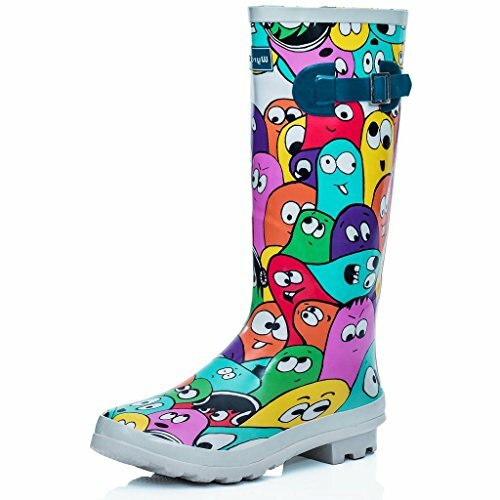 Fun Colorful GHOSTS Print Knee High Rain Boots for Women! 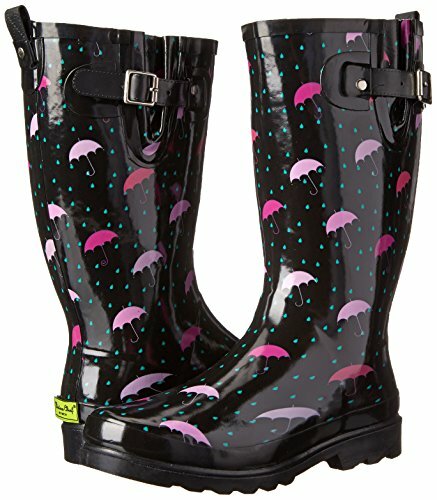 I am having a blast finding these cute and fun rubber rain boots! 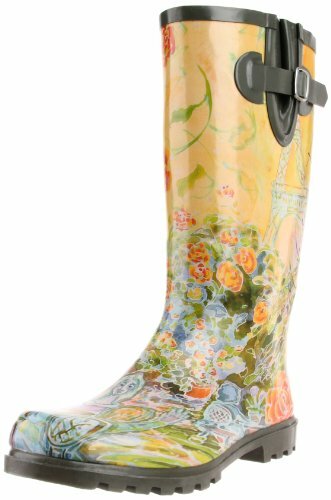 A colorful pair of ghosts design knee high women’s rain boots for sale! How cool and unique are they? They are also perfect for winter time too! 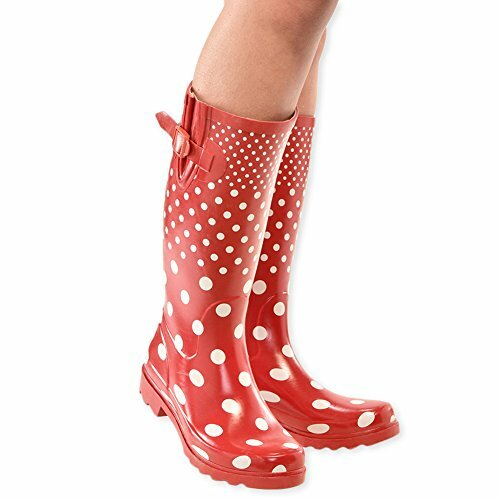 How cute and fun are these red and white polka dots rain boots for women? Bring on the mud puddles and rain puddles! What a beautiful pair of artsy women’s rain boots! Will definitely brighten up any gloomy rainy day for sure! 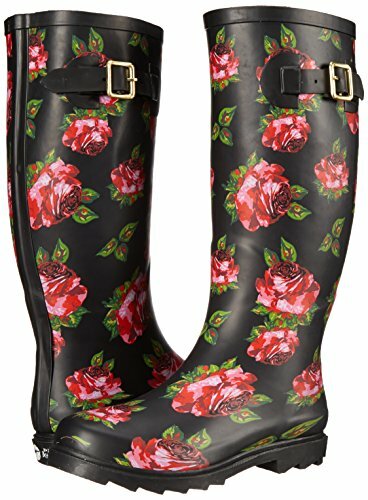 Slogger Rain Boots in Cute Floral Design! How fun, bright and cheerful are these sloggers? They are 100% waterproof and perfect for a rainy day or to do some outdoor work like gardening! They look great with a nice pair of jeans or shorts! 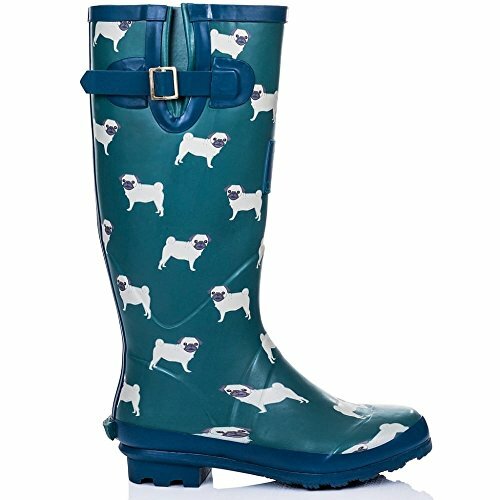 Cute Pugs Design Rain Boots! Hello fellow pug lovers! It’s our turn now! It’s a pair of adorable pugs design rain boots for sale! This is a cute and fun, not to forget ultra-girly pair of Betsey Johnson floral rain boots for the girly lady! Will look amazing with a nice pair of jeans and a beautiful white rain coat! I love the beautiful red flowers against the black background! 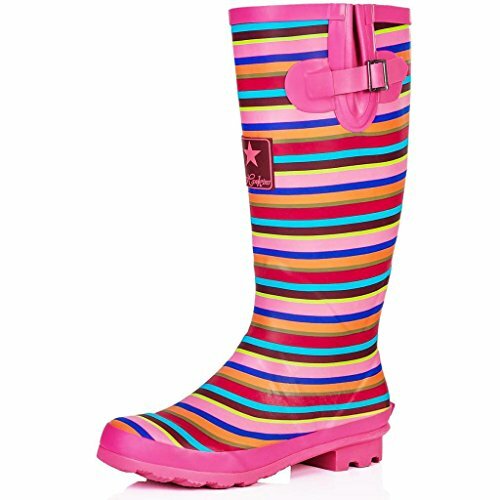 And I will end my selection of fun girly rain boots for women today with this ultra-cool pair of PINK striped knee high rain boots for sale! They fit perfectly and are very comfy too! Great to have some fun in the rain! My Top Favorite Best Rain Jackets for Women!